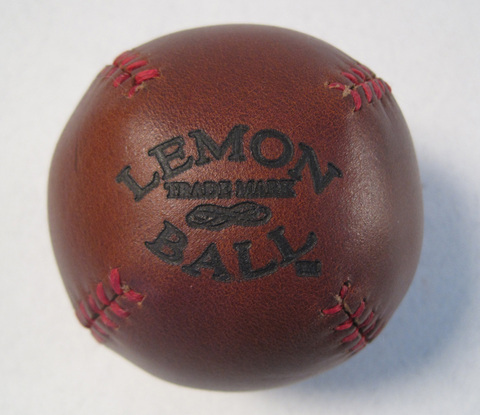 Cunningham takes a game of catch to a new level of sophistication with his LEMON BALLs - classic baseballs inspired by the original lemon peel style base ball from the early 19th century. Perfect for baseball, stickball and much more, these exquisitely designed balls are made from the highly coveted Chromexcel leather, which boasts a beautiful patina and an seductive aroma. 21.5 cm (8.5") in circumference and 3.5oz, which is slightly smaller than an official league baseball.